The country’s most coveted performing arts awards. The toughest judges in the business: the critics. Those scribblers in the dark are giving back to the industry with these prestigious awards. The Adelaide Critics Circle Awards cover both professional and non-professional theatre and music productions. These awards encourage emerging artist in a number of artistic fields, including visual arts. They recognise each year a distinguished Lifetime Achiever in the arts. And, with sponsorship from the Independent Arts Foundation of SA, they reward innovation in the arts. A night of love, kudos, surprises and generosity and one of the best events on the Adelaide arts calendar. Wine and nibbles abundantly provided - and entry is free. This year's special guest speaker will be Peter Goers - 891 radio personality, Sunday Mail columnist, former critic, theatre director, actor, and Holden Street Fringe star. 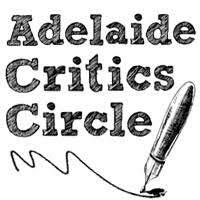 To find out more about the Adelaide Critics Circle, visit their website, Facebook page, or Twitter feed.